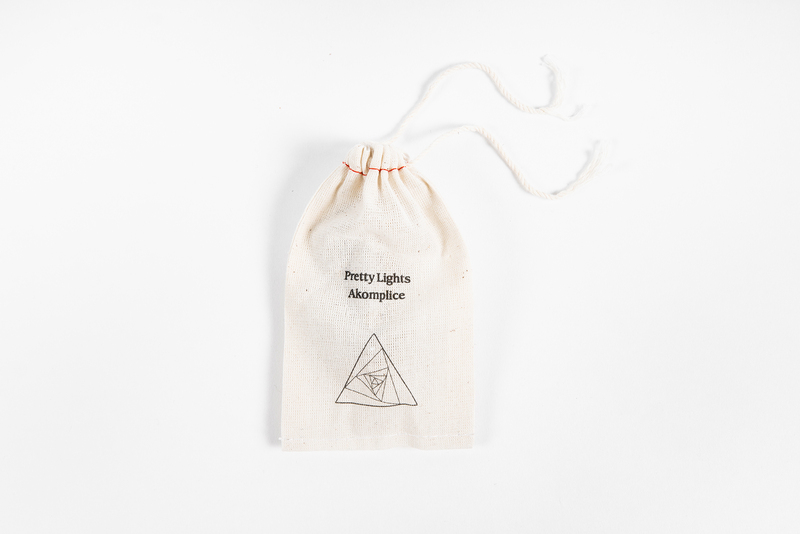 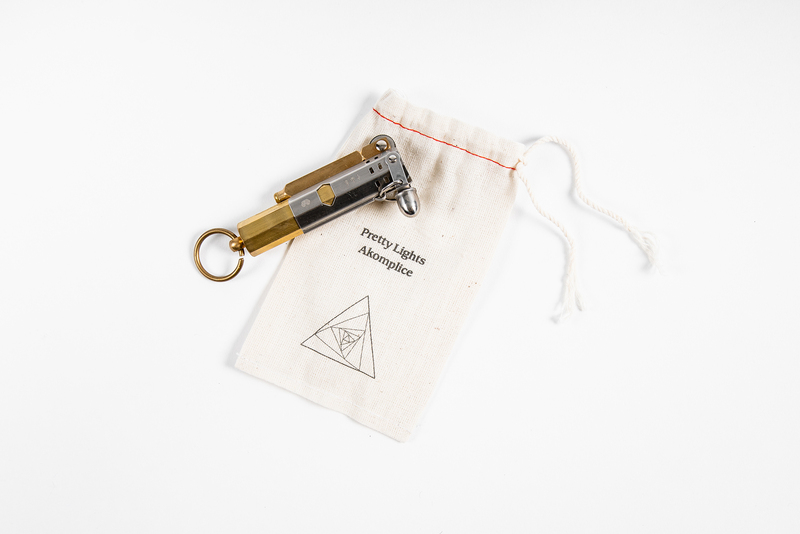 Akomplice x Pretty Lights Lighter for getting things lit. 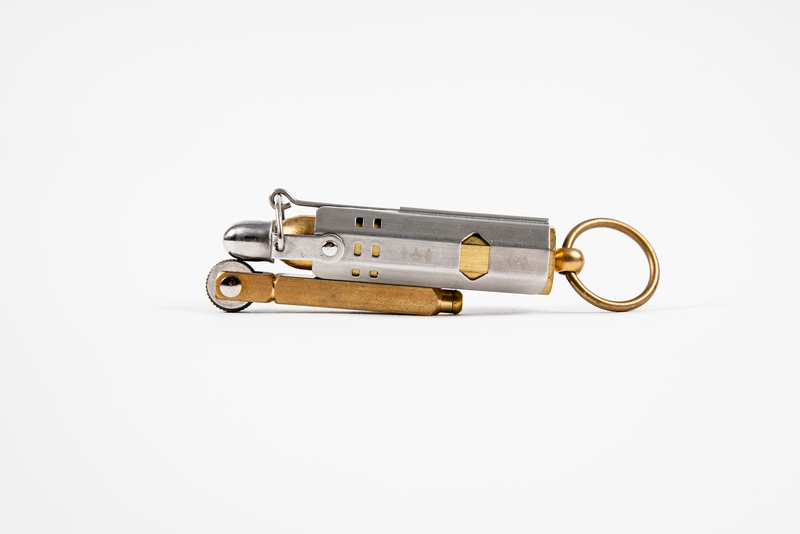 Size: 3.9″ (with key ring). 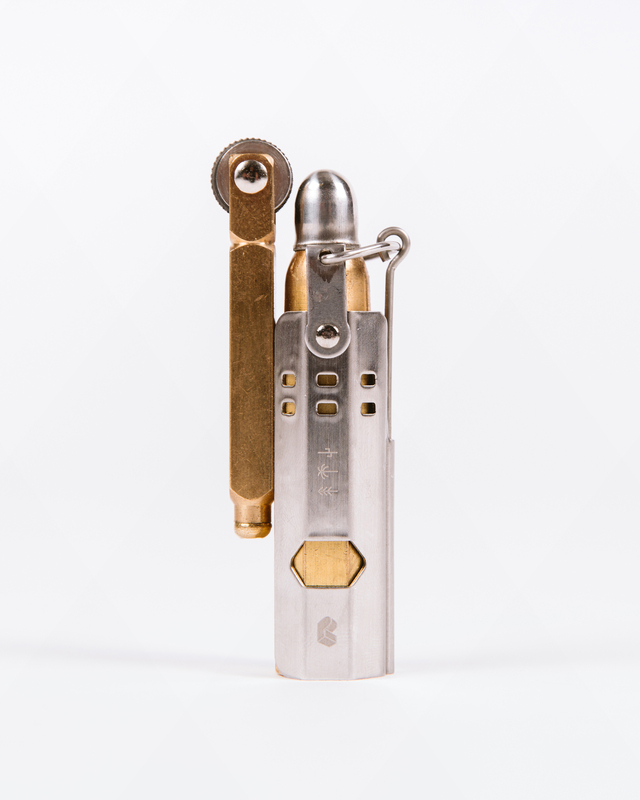 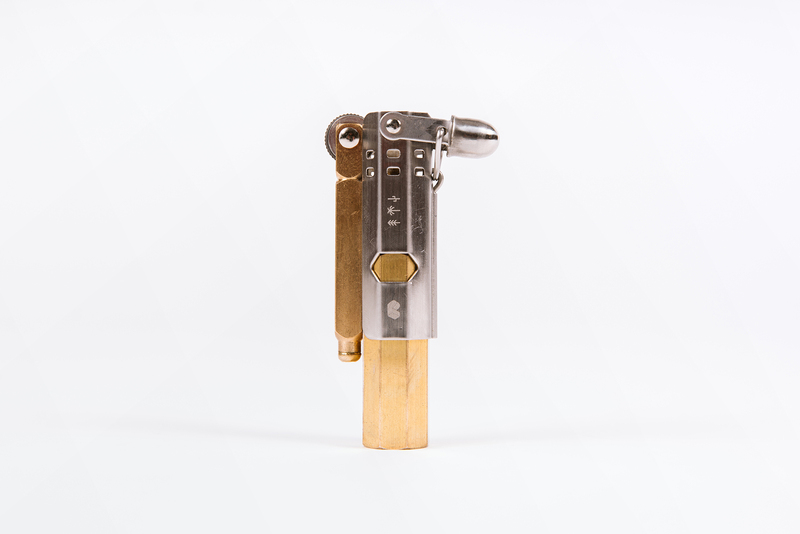 Material: Body made of brass, slip shell made of stainless steel.